apparent in the way we construct and use that model. specific context--a critical tool for translating user data into design framework. it is felt that personas are among the strongest. relationships they represent and de-emphasize the less significant details. physical environment and of course, with the products we hope to design. interactions that smoothly match the behaviors, mental models and goals of users. 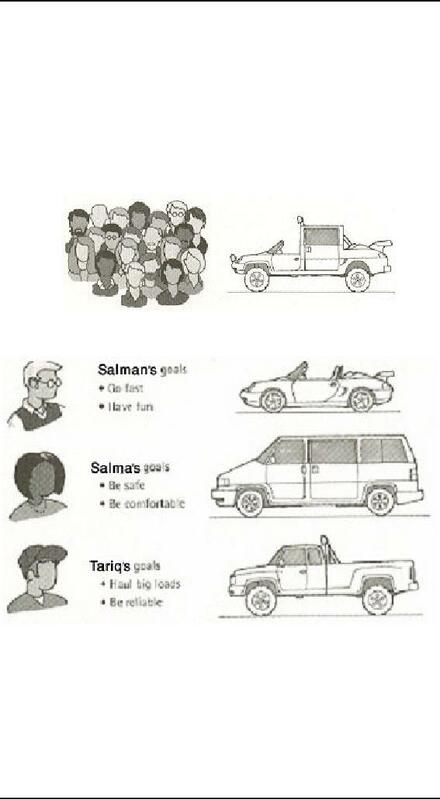 design for specific types of individuals with specific needs. 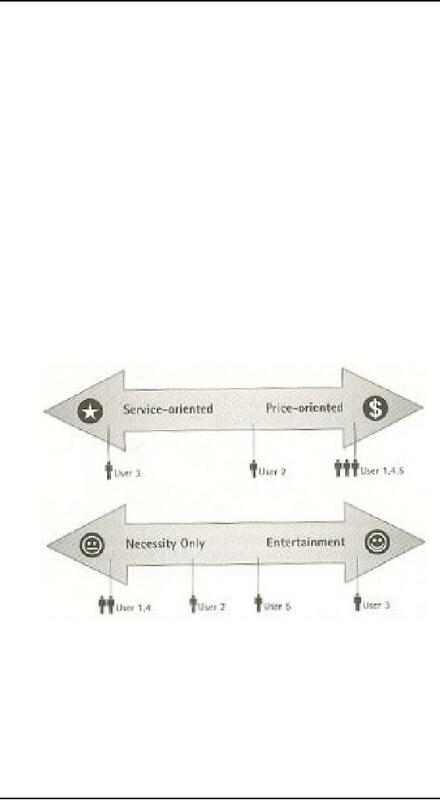 users are the most important to target in the design of function and behavior. and tasks provide the basis for the design effort. keep the design centered on users at every step in the process. comes to test with real users. have specific requirements based on their goals, capabilities, and contexts. comfortable with such products. Few non-programmers would concur. situations that might possibly happen, but usually won't for the target personas. focus. Personas provide a reality check for the design. discounted for other team members. ethnographic interviews, supported by supplemental data if necessary or appropriate. across individuals in similar roles during the research phase. on the behaviors and goals related to the specific domain of a particular product. take care to perform rullpemental user research. drawing on inadequate research run the risk of degrading to stereotypical caricatures. Personas should be typical and believable, but not stereotypical. are subtle. It is critical that personas capture these motivations in the form of goals. abstracted from the people possessing these relationships. brought to bear on abstract classes of people. as an organizing principle for design thinking and synthesis. communicating, and measuring design decisions. Many usability practioners use the terms persona and user profile synonymously. the real data and are not ends in themselves. purchaser is a frequent mistake in the development of digital products. research be expanded to include these types of people. in which a persona engages and, therefore, for the tasks as well. Life goals rarely figure directly into the design of specific elements of an interface. However, they are very much worth keeping in mind. or the quality of their interaction with the product. realizing it and without necessarily even being able to articulate the goals. Coustomer goals, corporate goals, and technical goals are all non-user goals. must not be addressed at the expense of the user. safety and happiness of the persons for whm they are purchasing the product. security, ease of maintenance, and ease of customization. tasks or other false goals. 4. synthesize characteristics and relevant goals. ones, or ones you anticipated that weren't supported by data? multiple subjects cluster on each variable axis that is significant as show in figure. not just a spurious correlation. and frustrations, and relevant relationships with other. personalities of your personas an help bring them to life. One fictional detail at this stage is important: the persona's first name and last names. deepens the designer's connection to the personas and their motivations. concerns, and interests that have direct bearing on the product. the depth of your research. When you start developing your narrative, choose photographs f your personas. on the team when you are finished. qualitative research into a powerful set of design tools. Served personas are somewhat different from the persona types already discussed. physical ramifications of products. These are treated like secondary personas.